Jeffrey Yergler, Ph.D. has over 25 years experience working with individuals, teams, and organizations. Jeffrey D. Yergler, Ph.D. launched Integer Leadership Consulting in 2004 to provide companies, businesses, institutions, NGOs, and other nonprofit organizations with a specific range of professional services such as leadership development solutions, executive coaching strategies, employee engagement strategies, organizational change, and core values creation. Over the past 25 years, Dr. Jeffrey Yergler has held senior leadership and faculty positions at university and sectarian organizations in Texas, Florida, Washington State, and California giving him first-hand specialized knowledge and practical experience into the issues and opportunities of his clients. In his professional service to clients, Dr. Yergler is a true scholar-practitioner. His approaches are based not only on time-tested theories but are also nuanced and influenced by his own cutting-edge and current-edge research. Additionally, because of his location in the San Francisco Bay Area and Silicon Valley, he approaches his consulting work with a true regional, national, and international perspective. Dr. Yergler appreciates the value of in-depth research and how research can shape tools that can be used by executives and managers in their organizations. Yet, he is also grounded and approachable as a consultant. He understands the common issues, struggles, and opportunities of human beings and values authenticity and transparency. Dr. Yergler serves on the faculty of Golden Gate University in the Market District of San Francisco as Associate Professor of Management and Chair of the Undergraduate Management Department. Dr. Yergler also provides leadership as the Academic Director of Undergraduate Programs. He teaches undergraduate and graduate courses addressing management, organizational leadership, diversity in organizations, and the psychology of leadership. He holds an undergraduate degree in Psychology from Westmont College, a Masters from Fuller Theological Seminary, and a Doctorate from Columbia Theological Seminary. He was awarded his Ph.D. in Leadership Studies from Gonzaga University in Spokane, Washington. Go Zags! 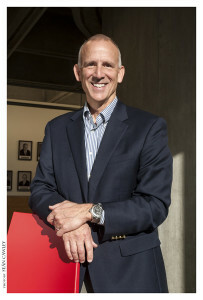 After 22 years of leadership in the non-profit sector, Jeff joined the business faculty of Olympic College in 2006, a community college in Bremerton, Washington. There he taught organizational leadership and resource management, human relations, conflict resolution, applied ethics, diversity, and supervision. He continued at this post until the summer of 2011 when he accepted a position at Golden Gate as Assistant Professor of Management. As a leader of large organizations and now as an academician and consultant where he specializes in combining theory with everyday practice, Dr. Jeffrey Yergler brings his passion for impacting people and organizations through excellent leadership and management practices to his clients. If you are looking for a professional consultant who brings practical understanding and knowledge while also being approachable and personable, you will want to contact Dr. Jeffrey D. Yergler.